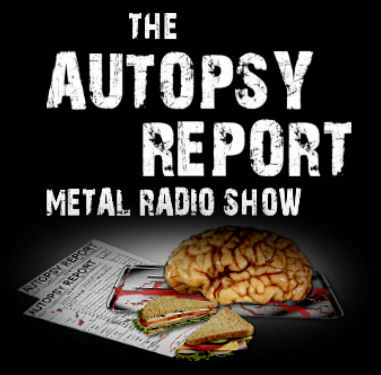 Scorching the net with two hours of extreme metal and classic rock, the Autopsy Report Metal Radio Show broadcasts from several radio stations across the world. Tune in each week for a dose of metal mayhem with your host Gramie Dee. This entry was posted in Radio and tagged  Possessor, Claudio Simonetti, Goblin, Gramie Dee, Hollywood, Horror, Metal, Mondo Cane, Podcast, Radio, Rusty Eye, The Autopsy Report Radio Show, UK.